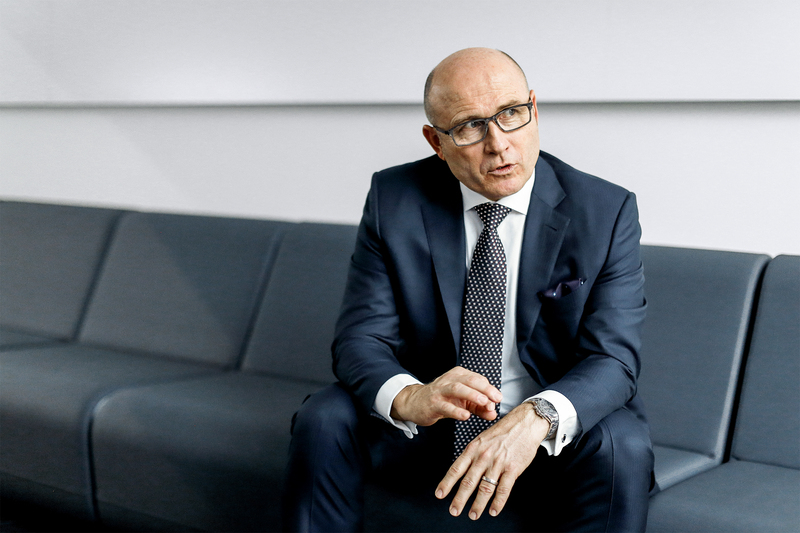 A brand on the move, and a man who’s a mover: Bernhard Maier took over as CEO of ŠKODA in ­autumn 2015. A will to change was one of the things that ­immediately appealed to him in the Czech Republic. 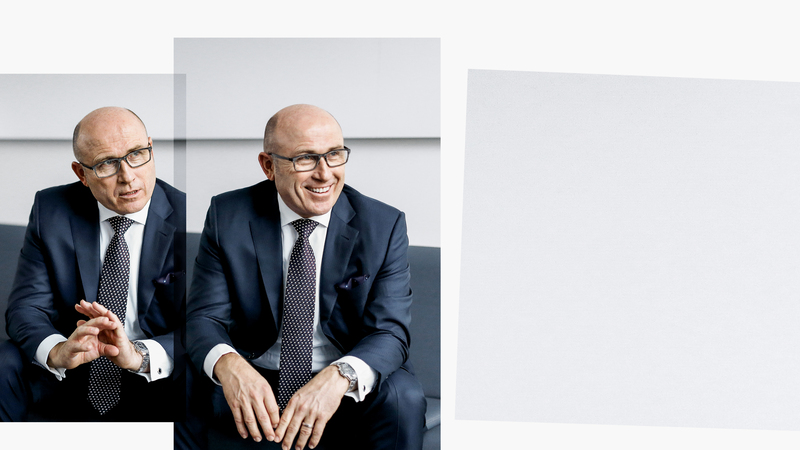 Mr Maier, you have recently taken over the reins at ŠKODA. What has surprised you most about the Czech Republic? I am experiencing ŠKODA – one of the oldest car companies in the world that dates back to the pioneering days of the car – and I am experiencing the Czech Republic. This country has wonderful people and a deeply rooted tradition of engineering and craftsmanship. Wherever I go, I see an enthusiasm for technology and mechanics, a passion for cars. And because that is all very familiar to me from my own background, I immediately felt at home here in Mladá Boleslav. What is your impression of the people in your new home? What strikes me every day here is the determination to do things better, and to advance. This striving is not just limited to the ŠKODA factory grounds. Progress begins in people’s minds. This determines what can be changed in a short period of time – or in other words, a team’s immediate desire for progress. Both inside and outside our company, I see a generation that both knows where it comes from, and is eager to shape the future. I find that very impressive. What was the first thing that came to mind when you thought about going to the Czech Republic? Probably what many people think of first: Václav Havel, the politician who changed so much. The Prague Spring. Martina Navratilova, the great tennis player. Milan Kundera, the author. And of course Prague, where the roots of European history, culture and education lie. As a car enthusiast, I of course also have a soft spot for the legendary Czech and Bohemian car brands. 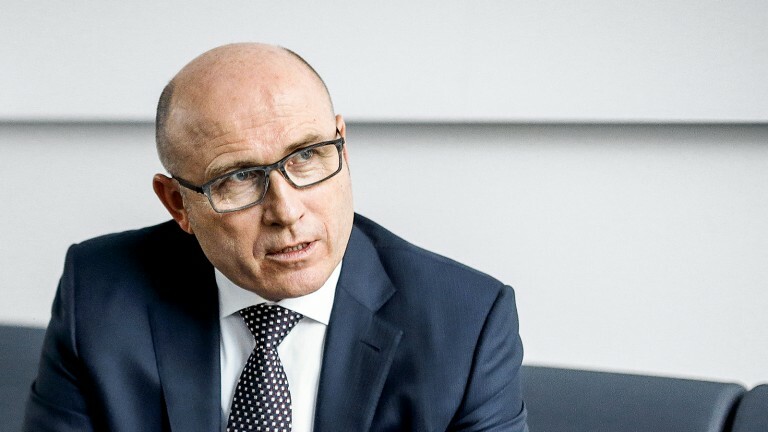 Bernhard Maier took over as CEO of ŠKODA AUTO a.s. on November 1, 2015. 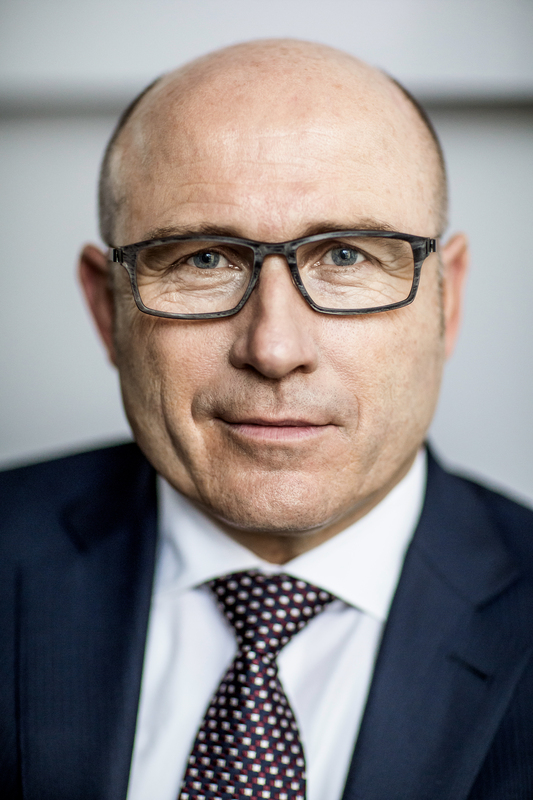 Previously, he was the Board Member for Sales and Marketing at Porsche AG. 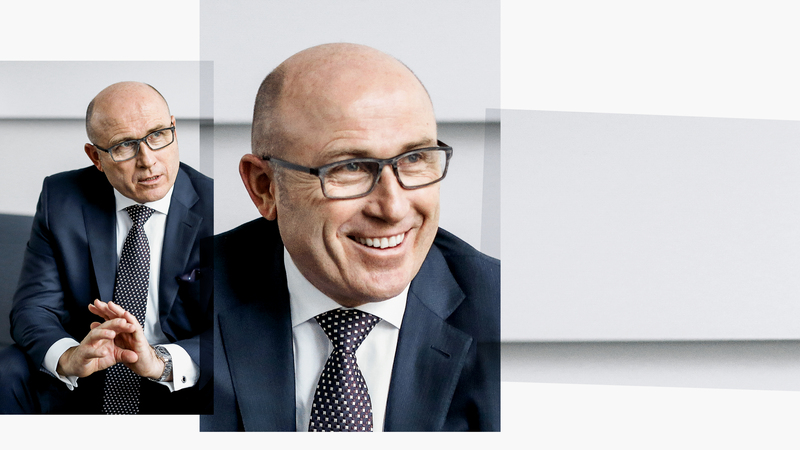 In that role, Maier was a driving force behind the company’s long-term international growth strategy and the professionalisation of the sales organisation. Bohemia is known as the cradle of carmaking in Europe, surely a full-blooded car person like yourself would find this an ideal place to work. For me it’s a great treasure. Our founding fathers were true pioneers: Václav Klement and Václav Laurin. These two gentlemen – and Ferdinand Porsche, by the way – came from this region and were contemporaries. Their designs were driven by a passion to enable people to get around on their own four wheels. And that influenced an entire era. This region of the Czech Republic has always shown an incredible love of technology and craftsmanship, and then of cars. You can feel this legacy ­everywhere at ŠKODA, and it powers our whole team on to great new, top performances. ŠKODA’s latest capabilities can be seen in the new Superb. What makes this ŠKODA so special? The fourth generation of the Superb is a reflection of where ŠKODA is today. It shows the brand’s power, and design and engineering expertise, and leaves no doubt about its dynamic orientation. The Superb has given new meaning to the design, value and emotive quality of our cars. At the same time, we have taken proven ŠKODA qualities such as functionality and above-average spaciousness, and improved them once again. The car features top-level technology in its powertrain, as well as in its safety, comfort and environmental qualities. Our aim is to build the best cars for our customers in our market segments. And that is especially true for our flagship. The Superb shows what we at ŠKODA can do, and serves as inspiration to keep going and reach the next level. What does that mean for future ŠKODA models? The most important thing first: a ŠKODA is and will remain practical, spacious and affordable, and will continue to offer “a little more car” in every respect. These values have shaped the brand, and we will hold on to them. In addition to that, new significance is being placed on the design and the associated emotive qualities of our cars. The success of the new Superb clearly shows that we are on the right track here. What emotions should a ŠKODA evoke? A car is a fascinating product. ­People don‘t just buy a car because it is good and practical, although these are prerequisites for most buyers. A car fulfils the very primal human wish for mobility. That alone is a highly ­emotional value of the car. And then, people simply have to like it. We all react to shapes, colours and materials. We want to distinguish ourselves from other people with what we own, and we want to demonstrate what we stand for. This does not necessarily mean showing off what you can afford, but what you wish to spend money on. A car fulfils all of these wishes. A ŠKODA should and must appeal to all of the senses. There are many design icons in our brand’s long tradition that have achieved this in admirable ­fashion. This is our aspiration for the future. Let’s dare to look at the future of cars. What developments do you think ŠKODA and the automotive industry in general will need to address in the next several years? The automotive industry is in a state of transition. Three basic trends are playing a major role here, to which we will need to devote a very high level of attention. One is electromobility, another is the digitisation of transport, and the third is the car’s connectivity to networks containing vast amounts of information. The next ten years will see greater changes in these areas than in the last five decades combined. And this will lend an entirely new quality to individual mobility. Driving will become safer, more comfortable and more entertaining. At the same time, these developments will be greatly influenced by the demand for zero emissions. It’s clear that mobility will have to be clean. These issues are all major points in the ŠKODA Strategy 2025, which we will present in mid-2016. So cars have a future? I’m absolutely sure of it! Cars will continue to be the most important means of transport. Nothing fulfils the deep human desire for mobility – which also means freedom and independence – like a car. But the framework conditions are changing rapidly – and we as carmakers need to adapt to them. This region of the czech republic has always shown an ­incredible love of ­technology and craftsmanship, and then of cars. When can we expect the first electric car from ŠKODA? This is a key topic for us. We are still backing conventional powertrains because our customers will still require them for years to come. Nevertheless, the transition to an electric era is coming, and it must be planned sensibly – in the markets to ensure sufficient infrastructure, and also in our company throughout every step of the value chain. For us, this means we’re moving full steam ahead into developing an electric powertrain for our cars. We’re concentrating on plug-in hybrids for the initial stage. But in the not-too-distant future, our customers can also expect to see a purely electric ŠKODA. In recent years ŠKODA has updated and expanded its model range. The Superb is the highlight thus far. What will be next? We will consistently pursue a course of growth at ŠKODA over the coming years. New models will play a major role here. ŠKODA will be expanding its product range especially in the key SUV segment. The ŠKODA Yeti is one model we have already established successfully in this market. And we will be adding more models to this segment. And finally a personal question: have you developed a specific management philosophy over your career in the automotive industry that you would like to apply at ŠKODA? I’m reluctant to talk much about philosophy in management. Sure, you can endlessly philosophise about it, but then things quickly become complicated and theoretical. For me it’s a matter of knowing what you want, and of teamwork in setting the course for how to get there. Again and again, some basic human principles have proven to be effective here: transparency, straightforwardness and consistency. We need to devote our attention to electromobility, digitisation of transport, and connectivity.